Retired General Dr Constantino Guvheya Dominic Nyikadzino Chiwenga and Cde Kembo Campbell Dugishi Mohadi will be sworn in as vice presidents of the Republic of Zimbabwe. tomorrow. 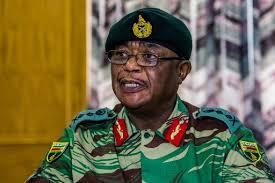 In a statement, Acting Chief Secretary to the President and Cabinet, Retired Colonel Christian Katsande said in terms of Section 14 , sub-paragraph 2 of the Sixth Schedule of the constitution, the President of Zimbabwe upon assuming office, must without delay appoint not more than two vice presidents, who hold office at his pleasure. Meanwhile, the two vice presidents will be sworn in tomorrow, at State House in Harare at 10am.